We are as close to cataclysm as we’ve ever been. Figuratively speaking, at least. Thanks to a myriad of reasons that you already know about — or at least should — the so-called Doomsday Clock was recently moved ahead to 11:58 p.m. for the first time in decades. That’s right, we’re at two minutes to midnight. Congratulations, Iron Maiden fans. You’ve got the theme song to the Apocalypse yet again. But for my money, Gum Takes Tooth’s third album Arrow makes a much better soundtrack to a depressing dystopian world. 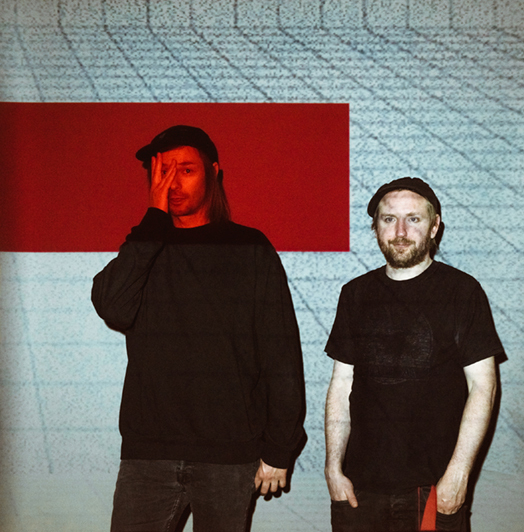 Armed with just a set of drums, a slew of electronic triggers and effects, the occasional vocal line and the best band name of the past decade, this London duo construct unnerving, claustrophobic soundscapes that channel all the paranoia and anxiety of 21st-century urban living. Grim throbbing washes of sound swoosh and swoop overhead like black helicopters on patrol; sirens howl plaintively on the periphery; voices clamour indecipherably in the distance; nothing ever settles into a stable pattern long enough to be even vaguely predictable or comfortable. The overall effect is not unlike walking down a pitch-black, deserted street late at night. You’re hyper-aware of your surroundings, unable to relax, constantly on alert for potential assaults from all sides. And you can only hope you make it to safety before the clock strikes midnight.